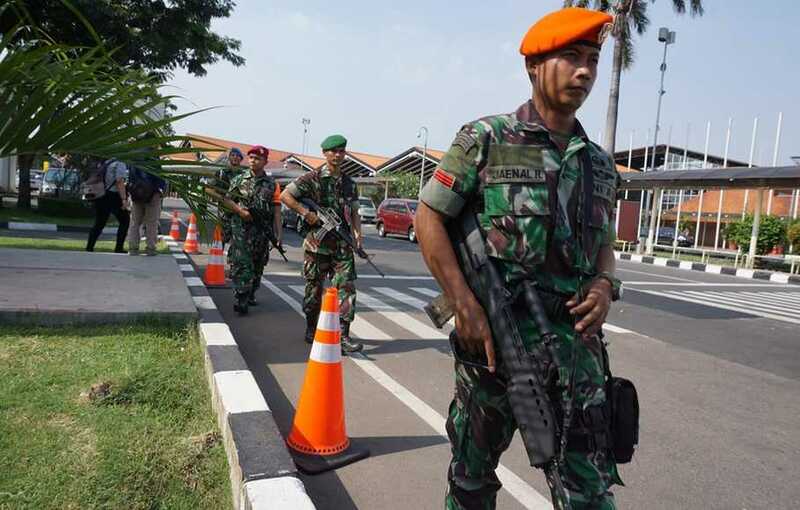 A total of 450 Army soldiers from Yonif 725 / Woroagi, Konawe Selatan District, Southeast Sulawesi, were dispatched to the North sector in Papua Province on the task of securing the Indonesia-PNG border. The departure ceremony led by the Governor of Southeast Sulawesi, Ali Mazi, was held at Nusantara Harbor, Kendari, Thursday (11/8). He said, the assignment to the operation area was a concrete manifestation of service and honor for a soldier to his country and nation, for the sake of upholding the sovereignty of the Indonesian region and the solidity of the nation’s unity and unity. “This trust is a noble honor and duty to be accounted for and carried out as well as possible, including through maximum efforts to maintain border area security, including by developing the capabilities and potential of the units that have been owned so that the presence of this Task Force can be accepted and acknowledged well by the local community,” he said. Meanwhile, Commander of the Woroagi 725 Battalion, Lt. Col. Inf Hendry Ginting said, 450 soldiers who were dispatched would serve nine months in two districts. “Nine months in charge in two districts, where there are seven posts in the region. Our main task is to create security at the border, prevent drug trafficking, and foster a spirit of nationalism among border communities,” he said. Wife of Battalion Commander 725 / Woroagi, Lia Hendry Ginting as Chairperson of Persit Kartika Chandra Kirana branch 61 Yonif 725 expressed a feeling of sadness mixed with pride towards her husband who carried the task of the task force members. “I hope, hopefully the husband and other members will survive until the destination and return safely and still maintain health,” he said. For Persit mothers who were left behind by assignments, she asked to keep praying for her husband in the assignment, still supporting her husband, maintaining loyalty, maintaining the good name of the husband, especially guarding the good name of the Battalion. Next Post: What’s the Trans Papua Road Project?